Current DoctorJames Adcox O.D.Cara Sczepanski O.D.Michael Pawlowski O.D.James Harper O.D.Stephanie Wilson O.D.Chuck Phillips O.D.John Marshall O.D.Griselda Benavides O.D.Clipper Strickland O.D.Ted Seymore O.D.Justin Jackman O.D.Madlyn W. Babb O.D.Andrew Blankenship O.D.Maria G. Ceballos-Corral O.D.Billy Cook O.D.Ashley Lamm David O.D.Laura Garica O.D.Blake Golson O.D.David L. Gray O.D.Jeannie B. Gray O.D.Jeff Grigsby O.D. M.S.Steve Hankinson O.D.Donald L. Hembree O.D.Douglas Holle O.D.Heather Kern-Golson O.D.Aaron Urias O.D.Alan C. Larsen O.D.Sriyuta Thota O.D.Charles Luke O.D.Joy Luke O.D.John H. Marshall O.D.John Paul Matthews O.D.Mike McAndrews O.D.Francisco J. Morales O.D.Rick Munoz O.D.Hulon H. Pass O.D. The AMO Wavescan Wavefront System leads the industry for outstanding wavefront acquisition and diagnostic capabilities. Fast and powerful, the WaveScan System delivers unprecedented measurement accuracy, enhancing the precision of the Advanced CustomVue™ procedure. Using AMO Fourier algorithms, WaveScan captures the unique imperfections of each patient’s eye using 100 percent of the available Hartmann-Shack data points for more accurate wavefront error reconstruction. The system provides the highest resolution available for any shape pupil (up to 7 mm), enabling precise, individualized treatment for the broadest range of visual imperfections. Our Surgeons Provide The Experience And Precision Give Our Patients With Superior Care. We Use The Latest Technology And Our Permanently Installed Equipment Provide Better Results. Catch Up On The Latest In LASIK News, Eye Health, And Helpful Hints By Reading Our Blog. Eye LASIK Midland offers a new approach to laser vision correction – allowing patients to work with the primary eye doctor they’ve known for years. This means the patient’s optometrist performs all the work preceding the laser procedure, as well as all the follow-up visits. With Eye LASIK Midland, patients receive premium care from all the doctors they know and trust. 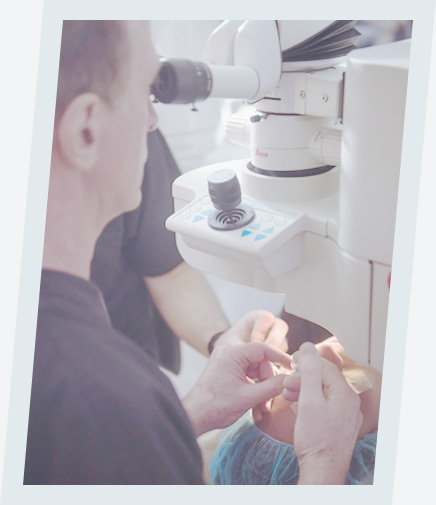 Your doctor is probably one of the thirty participating optometrists in Eye LASIK Midland. Find your doctor here. More eye doctors choose Eye LASIK Midland for their own, their family member’s and their patient’s surgery than any other Midland LASIK center. Eye LASIK Midland’s surgeons include the most experienced in West Texas with an outstanding record of consistent safety, quality and results. We offer the iLASIK suite of technology, approved for treating our U.S. fighter pilots and NASA astronauts. We utilize customized wavefront- guided treatments with all-laser custom wavefront and blade-free technology. We offer a very personalized, safe and effective approach to LASIK that is unlike any medical experience you have previously had. We want to help you achieve the best visual outcome. Eye LASIK Midland- The best decision for your vision.